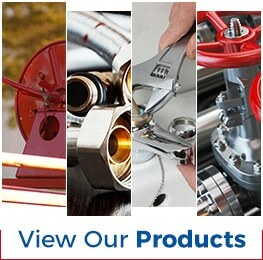 Are you ready to buy your industrial hose supplies in Orange County CA today? If so, you’re ready to work with ASJ Industrial Hose & Fittings. We have years of experience with this process, specialize in hoses and industrial applications, and understand that you need your supplies as described and on time. Keep reading to learn more about the unique service we can offer you and then reach out to us at (951) 735-1351 to find out more. Are there dozens of brick and mortar and online retailers that can sell you industrial hose supplies? Maybe – but what can they really offer you? When you choose to work with ASJ Industrial Hose & Fittings, you’re working with a company that’s been in this business since 1985. We know the field inside and out and specialize in it. You won’t be dealing with a low-level employee who hardly knows what a hose is – you’ll be dealing with experienced professionals who can provide the assistance you need. 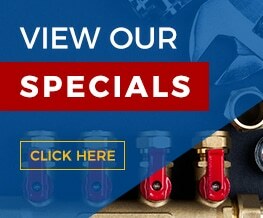 At ASJ Industrial Hose & Fittings, we want to do more than just put you in touch with some of the best industrial hose supplies in Orange County CA: We want to get you what you need fast. We make many steps to ensure this is the case. For example, we believe that Continental ContiTech is one of the best brands on the market and that’s why we carry their entire line. However, we also know that there are plenty of products that may need a different brand and that’s why we carry more than a dozen other brands. We have two main goals: Offering the best possible supplies and ensuring you get your order on time. You can count on correct orders and you can count on us to communicate with you along the way. Stop by today, shop with us online, or give us a call to find out more about what we have available for you.